Asher Mains painted this iconic hero portrait a number of years ago–when he was still in this three colour stage of yellow, red, and purple. 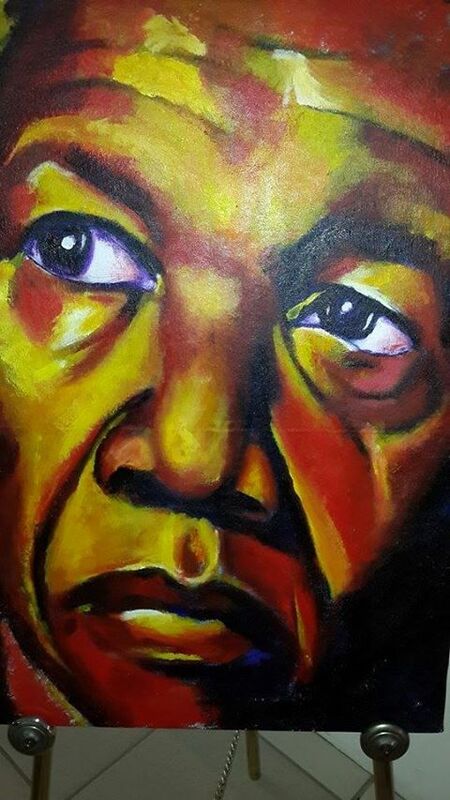 The emphasis for this series is that the colour of skin doesn’t make the man–and certainly Nelson Mandela’s life is an example of that philosophy. Some people have remarked that with his death Mandela’s light has gone out. We would disagree–we believe that his light is shining brighter than ever. Long live.